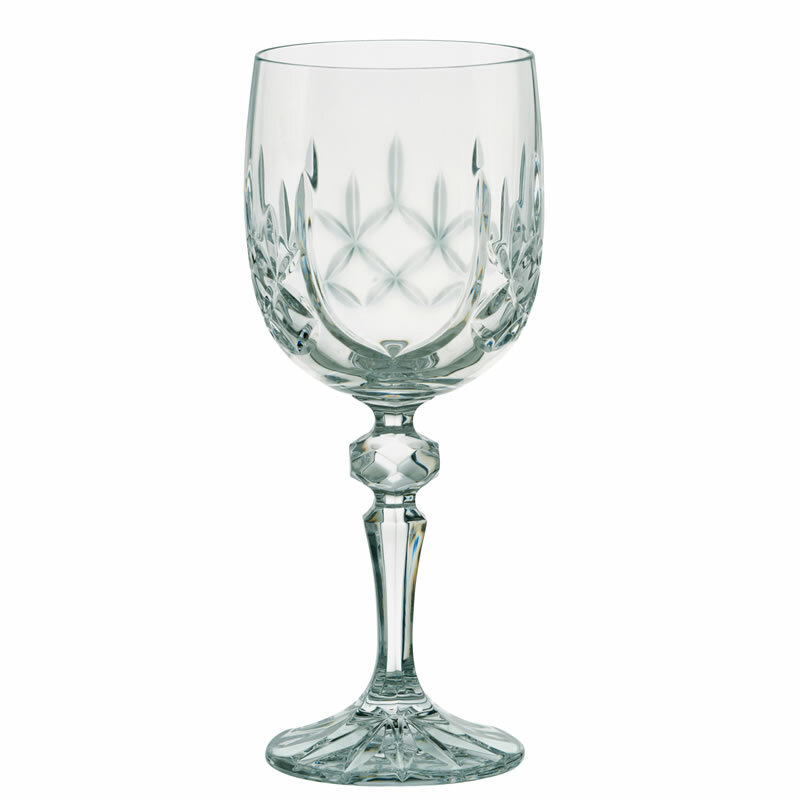 A quality cut decoration wine goblet made by Dornberger, one of the UK's oldest and most respected suppliers of lead crystal and plain glassware. 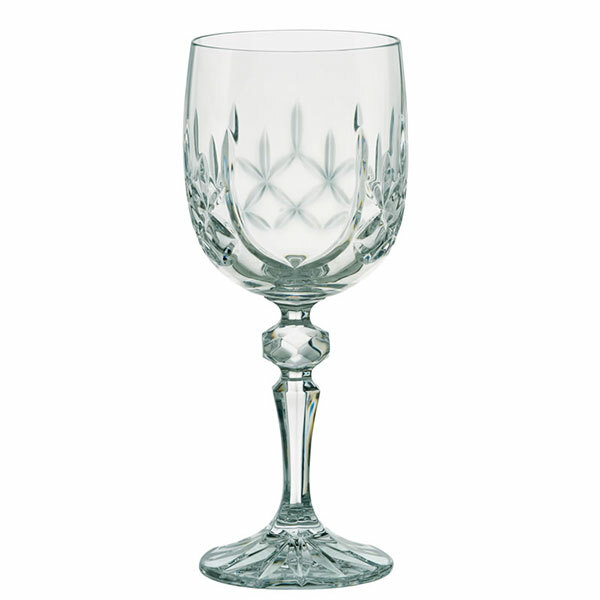 These goblet shape wine glasses feature cut decoration on the body with a blank panel for engraving, a faceted sphere inset into the curved stem, and additional decoration on the base. Mouth blown and hand crafted, these quality wine glasses have a capacity of 30cl (300ml) and are dishwasher safe. 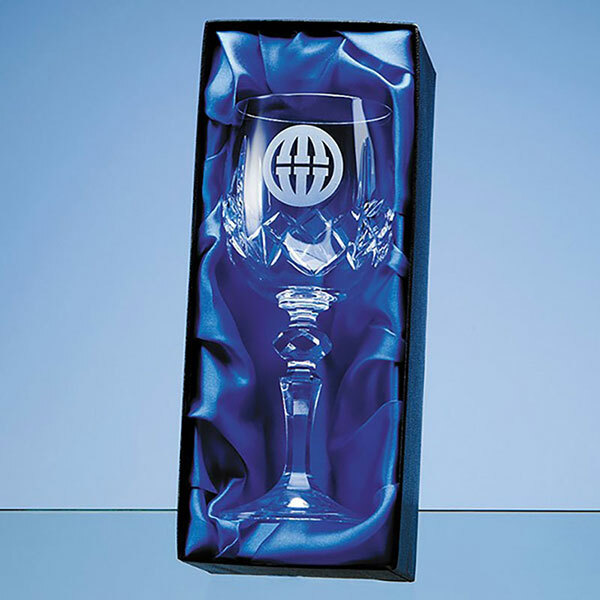 They are ideal engraved in the blank panel as corporate gifts, commemorative awards or branded tableware. An optional deluxe presentation box is available. Product size: 70mm x 70mm x 180mm. Capacity: 30cl.